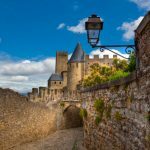 During these hot summer months, buyers are reminded that luxury apartments in Paris with balconies – especially those with beautiful views – can be rented out at premium prices, or enable owners to appreciate life in the City of Light to the full…. 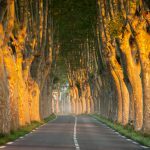 After analysing enquiries and transactions data for the spring 2015 edition of its insights brochure INSIDE FRANCE, Home Hunts found that when it comes to choosing an apartment in Paris, there is some criteria that is more important than others. 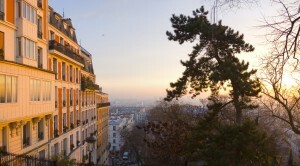 Apartments with Eiffel Tower views in the 7th, 8th or 16th arrondissement are particularly sought after by buyers, as are apartments in Montmartre. But apartments with private balconies are often the most desirable, particularly those that provide views of the city’s famous landmarks. 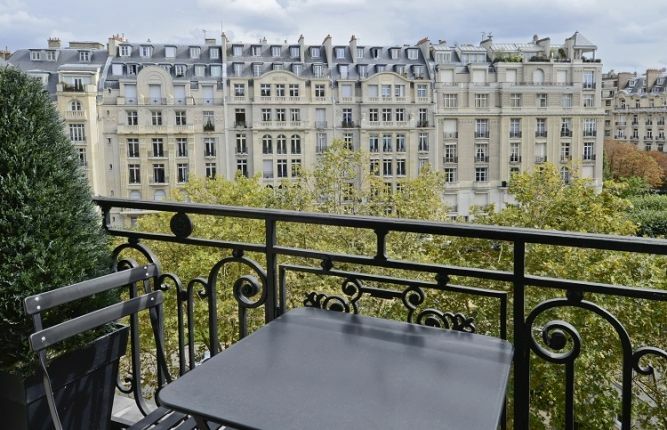 Al fresco dining from the privacy of your own balcony in Paris is surely one of the greatest pleasures in life, so here are five hand-picked choices of Paris apartments with balconies from Home Hunts’ online portfolio. 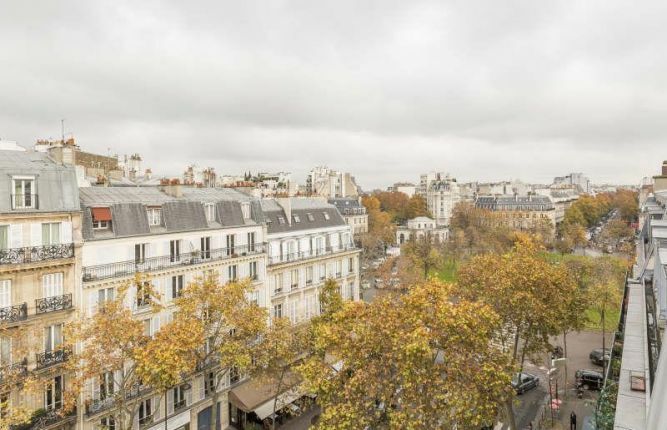 Located in sought after Montmartre, this magnificent modern apartment (HH-8512715) has been luxuriously decorated to an extremely high standard. 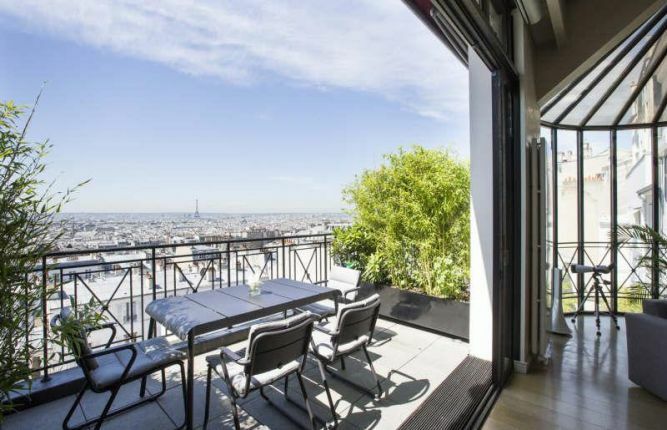 It offers a large south-facing terrace with breath-taking views across the city, including the Eiffel Tower, as well as a spacious terrace off the master bedroom. 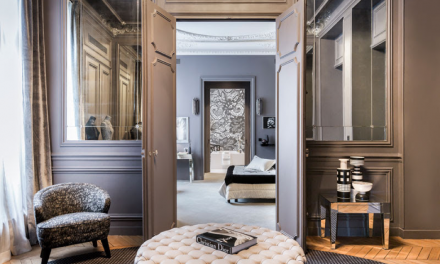 This prime three-bedroom residence also features a spa with a swimming pool and a hammam, making it one of the most desirable properties in Paris. 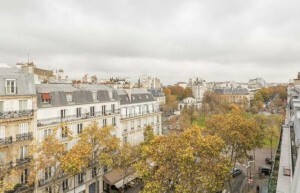 In the 16th arrondissement, from the 5th floor of a Haussmannian building, this spectacular three-bedroom apartment (HH-6022683) offers beautiful, leafy views of the city. With grand, immaculately-styled rooms, it also comes with a studio for guests on the 7th floor, a staff bedroom, two cellars and parking. 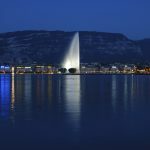 This property is priced at €5,500,000. A beautiful four-bedroom apartment (HH-8446162), which also comes with an independent studio on the same floor, this special property is perfectly positioned on the top floor of a 19th century building. 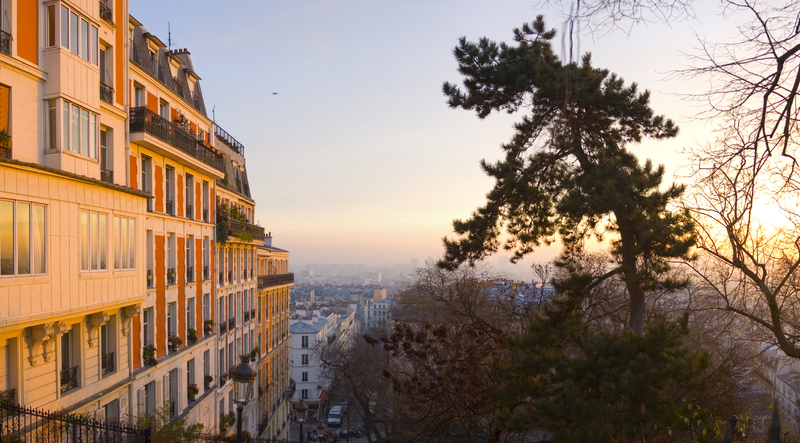 The balcony provides unobstructed views of a range of Parisian landmarks and the gardens of the Champs Elysées. 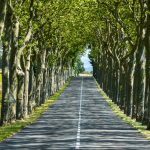 With spacious rooms and a parking space, this property will not be on the market for long. 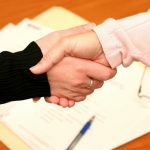 The price is available on application. Situated opposite the Eiffel Tower, this sunny three-bedroom apartment (HH-9167115) in the 7th arrondissement has one of the most coveted addresses in Paris. 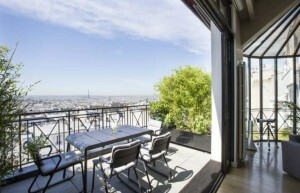 The reception area of this property opens on to a balcony, giving sensational views of the Eiffel Tower. Set in a prestigious period building, it also includes a maid’s room and a cellar. 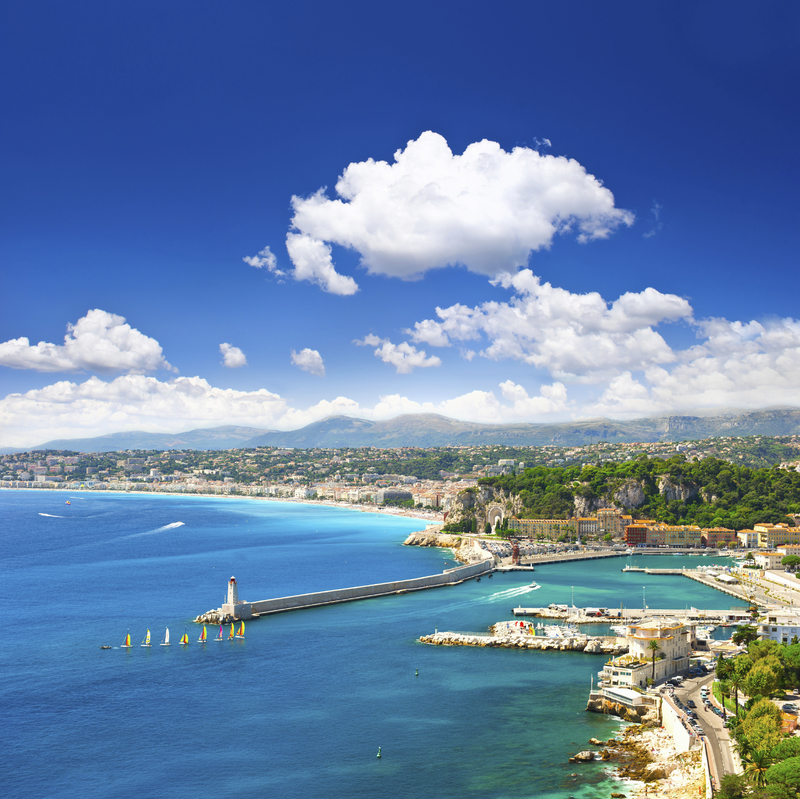 A must-see property, for €2,600,000 it will not be on the market for long. 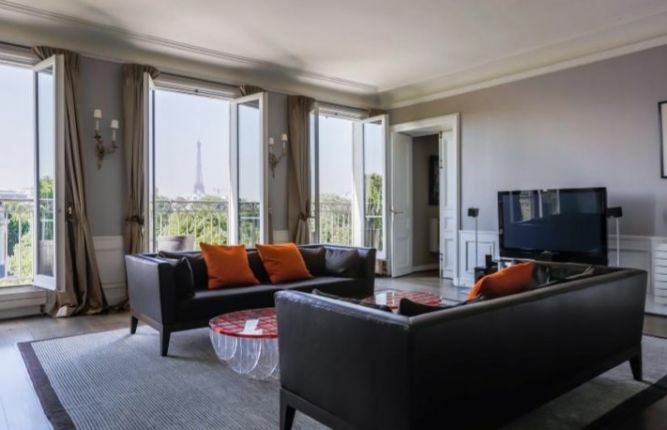 Located between Porte Maillot and Pereire metro stations, this classy sixth-floor apartment (HH-8726585) in the 17th arrondissement has been designed to an extremely high standard. With cool, modern interiors that exude calm and tranquillity this three-bedroom property also has a large balcony connected to its spacious, south-facing living room. 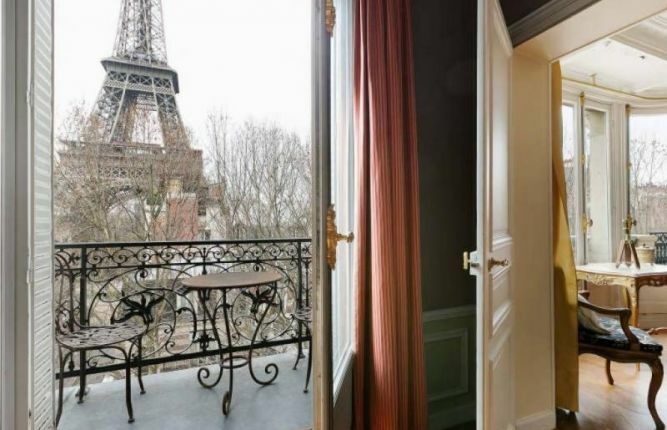 A beautiful property with views of the Eiffel tower and the Arc de Triomphe, it is priced at €1,860,000. 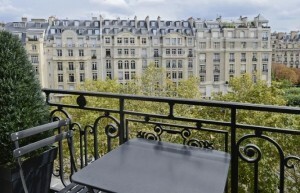 To view more properties in Paris with balconies, visit www.home-hunts.com. But to speak with a consultant directly about Paris real estate, call +33 (0)970 44 66 43.